Who Was Paul and How Did He Impact the Church? Saul was on his way to making a name for himself. He was a well-connected powerful man with credentials. He called himself a “Hebrew of Hebrews.” He was a prideful self-righteous member of the Pharisees who obeyed the Law without fault in the strictest way possible. Saul grew up in Tarsus of Cilicia where he lived with his Jewish parents. His family had dual citizenship. He was a pure blooded citizen of Israel from the tribe of Benjamin as well as a Roman citizen. His Roman citizenship gave him a position of privilege and would be advantageous for him later. Saul was highly educated. His early education occurred while living in Tarsus. His formal education took place under the tutelage of Gamaliel while he was living in Jerusalem. It is under the instruction of Gamaliel that Saul prepared and trained to be a Pharisee. Saul comes into the biblical narrative for the first time in Acts Chapter 7. It all began with the events surrounding the death of Stephen. Stephen was a wise and responsible man full of faith and the Holy Spirit who was chosen to serve on a team of disciples in the church. Stephen was performing miracles and signs among the people. He spoke with great wisdom and the power of the Spirit. The religious leaders were angered by what he was saying. But none of them could challenge him. The elders and the teachers of the religious law didn’t like what they were seeing and hearing and they had Stephen arrested. But he continued to preach. His arrest did not deter him. But then he crossed a line that infuriated the religious leaders. To top it off Stephen declared that the heavens had opened and he could see the glory of God and Jesus standing at God’s right hand. They had heard enough! They rushed at him and drug him into the city street and began to stone him. His accusers took off their coats and laid them at the feet of a young man named Saul. It is quite possible that while Saul was watching Stephen being stoned to death his feet and garments were being splattered with Stephen’s blood. He must have forgotten that part of the Law. You must not murder. (Exodus 20:13) Or maybe he thought he was above the Law since he was convinced he was doing God’s work. Saul was so zealous for God that he persecuted the church. God was getting ready to interrupt Saul’s plans. He fell to the ground and heard a voice saying to him, Saul! Saul! Why are you persecuting me? Saul’s persecution of Christians was about to come to an end. Saul didn’t know it but he had just had his first encounter with the Risen Lord—the Messiah. Who are you, lord? Saul said. A remarkable transformation was about to take place in Saul’s heart and mind. He would be forever changed. Jesus told Saul to go into the city. His companions led the way into Damascus to a house owned by a man named Judas. He was to stay there until a man named Ananias arrived. He would lay his hands upon Saul and he would regain his sight. Saul didn’t eat for three days as he waited and prayed. The faith of a strong believer by the name of Ananias found Saul and laid hands on him as the Lord Jesus had instructed him to do and Saul regained his sight. After Saul regained his sight, he was baptized, and then he ate some food and regained his strength. So Saul’s name was changed to Paul. He was chosen to bring the Good News to the Gentiles. For all that he caused others to endure he eventually endured himself. Paul became a true apostle because he experienced and encountered the risen Lord Jesus on the road to Damascus. And he truly shared in the sufferings of Christ. Except for Jesus Christ, Paul the Apostle is considered and recognized as the most significant influential spiritual figure and contributor to the Christian faith and Christian church. He wrote 13 of the 27 books of the New Testament. Chosen by God to be a vessel to the Gentiles, Paul’s writing and preaching encouraged the early church and taught them how to live a God-centered life in a pagan-centered world. Paul went on three missionary journeys that carried and spread the Gospel of Jesus Christ across the ancient world. Despite the trials and tribulations that Paul endured during his lifetime he accomplished the mission God had sent him to do. Paul’s writings were also written to address problematic issues that arose in the first century churches that had to be dealt with in order for the churches to survive, thrive, and grow forward for future generations. One of Paul’s major contributions to Christianity is “justification by faith” also described as “faith alone.” Faith rather than good works became a prominent theme during the time of Martin Luther. So much so that it eventually led to what we know as the formation of the protestant reformation and the break with the Roman Catholic Church. It was Paul’s writings in the book of Romans that fueled and influenced Martin Luther’s thinking, which changed the course of mankind’s spiritual history. 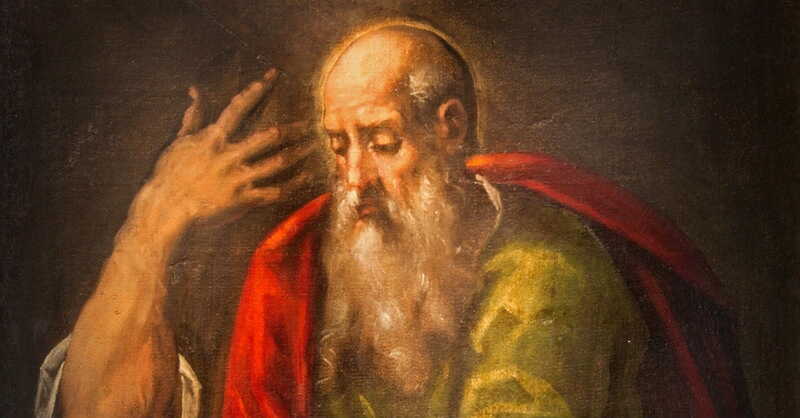 Paul was held prisoner in Rome in his last days on earth. Several sources record that was Paul beheaded during the time of Nero. He was the last apostle to be martyred. Where Was Jesus Crucified? - Golgotha "the Place of the Skull"